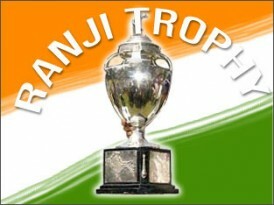 Rajasthan, which had never won the Ranji Trophy till last season, made it two out of two when they beat Tamil Nadu in the final at Chennai last week. But the season had its share of controversies and Rajasthan batting close to three days to amass 621 in their first innings on winning the toss once again underscored the issue of flat tracks in Indian domestic cricket. With the Indian batsmen currently struggling on the pacy wickets Down Under, the fact that 106 batsmen amassed 156 centuries (including 18 double and one triple) in 88 matches in the 2011-12 Ranji Trophy season (as against 130 last season) while no bowler was able to claim over 40 wickets, brought this issue into sharp focus. Former India captain and master left-arm spinner Bishan Singh Bedi lamented the fact that domestic cricket has lost its appeal and charm. “Occupation of the crease is not the requirement of modern cricket. It is actually an anachronism. A team bats for 245 overs and wins the final on first innings lead. Are we not an entertainment industry?” he told The Hindu newspaper. “Who would want to bowl when the pitches are prepared with batsmen’s interests only?” he added. The season itself started on a stormy note late last year with drunken bouts, walkouts and allegations of corruption – and all that just one month into the season. In November Orissa’s captain and wicket-keeper Halhadar Das was initially suspended for the rest of the season after returning to the team hotel in Mohali in an inebriated state on the eve of the Elite Group A match against Punjab. Two other players who were also said to be drunk with the captain were let off with a warning. Das, 24 and one of his team’s leading batsmen, had his ban overturned two weeks later but was initially kept out of the captaincy which was handed to Natraj Behera. Das was however back to lead the side by December with the Orissa Cricket Association deciding to go easy on him. Not so fortunate has been another captain, Swapnil Asnodkar of Goa, dubbed the ‘Goa Cannon’ by his Rajasthan Royals skipper Shane Warne after being one of the stars of their title triumph in the inaugural season of the Indian Premier League in 2008. Asnodkar’s form has fallen away since then and he has faded away from the national spotlight after that early promise. However, he earned a black mark for himself in November after Goa’s first match in the Plate League Group B match against Maharashtra at Porvorim. Faced with the eminently attainable target of 130 from 19 overs and despite clear orders from the team management at the meeting between innings to go for the target, Asnodkar tamely gave up the chase. The captain played out a maiden in the sixth over with the score reading 18 for one and then told his Maharashtra counterpart Rohit Motwani that he was calling it off, causing dismay both among his team-mates and the state association. He received a two-match ban and was also stripped of the captaincy for the rest of the season. Rumours of shady practices were swirling. BCCI member and MP Rajiv Shukla however trashed all talk of fixing and claimed all Indian cricketers were “clean”. Opening bowler Ajit Agarkar, the last of whose 26 Test matches was in played in 2006, created a storm in Mumbai cricket circles when he walked out in a huff and flew back home from Cuttack after being left out of the playing eleven for the Elite Group match against Orissa last November. Agarkar was informed of his omission the night before the game and promptly left for Mumbai the next morning claiming he should have been told before the team left for Cuttack and that he felt he had not been treated with the respect due to a senior player. Agarkar also made himself unavailable for the next match against Saurashtra and it now appears his 15 year First Class career with Mumbai may have come to an end under a cloud. Getting support from Mumbai team-mate and India fast bowler Zaheer Khan did not help his cause either.